Scratch is a documentary film, directed and edited by Doug Pray. The film explores the world of the hip-hop DJ. From the birth of hip-hop, when pioneering DJ’s began extending breaks on their party records (which helped inspire break dancing and rap), to the invention of scratching and beat-juggling vinyl, to its more recent explosion as a musical movement called turntablism, it’s a story of unknown underdogs and serious virtuosos who have radically changed the way we hear, play and create music. The documentary opens with Grand Wizard Theodore (New York) telling the story of how he first introduced scratching. 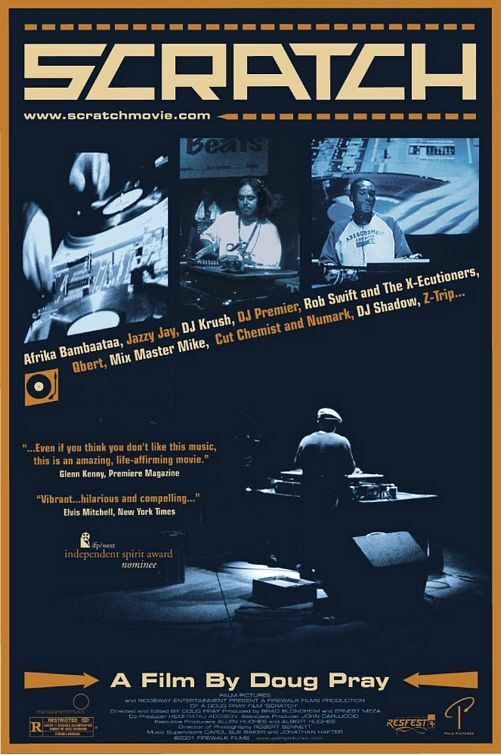 Throughout the documentary, several artists explain how they were introduced to the field of hip-hop and scratch while providing stories and anecdotes of their personal experiences.